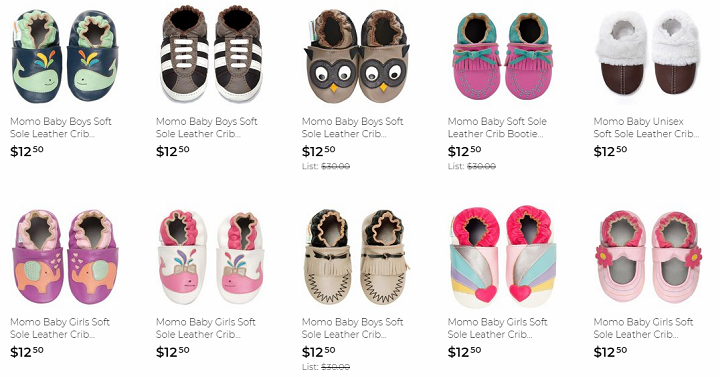 Momo Baby and Kimi + Kai Baby Shoes Only $10.00 Shipped! These are perfect for an upcoming baby shower or to have in your gift closet! These Momo Baby and Kimi + Kai Baby Shoes are just $12.50 over on Rakuten! Plus, you can use coupon code APPAREL20 at checkout to save an additional 20% off your purchase. And shipping is free so it’s the best time to snag some of these cute shoes.